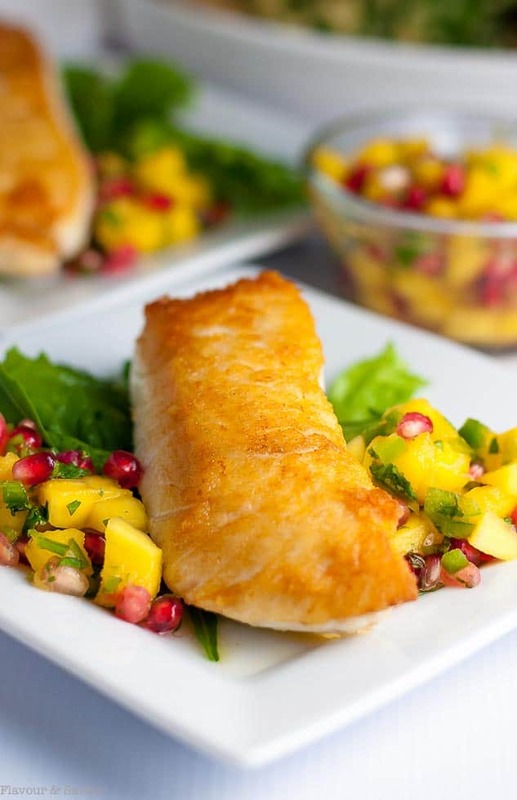 This salt and pepper Crusted Halibut with Mango Pomegranate Salsa is an easy weeknight meal that’s spectacular enough for entertaining. Ready in 15 minutes! 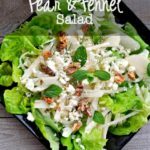 Paleo and Whole30 compliant. Making this salt and pepper crusted halibut for dinner yesterday was a no-brainer. With halibut in the freezer, pomegranate arils in the fridge and a mango crying to be used before it bruised, this meal was meant to be. It came together in just a few minutes. 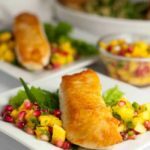 Halibut is right near the top of our Favourite Fish list. It’s a treat, because if Denis hasn’t caught one himself, I rarely buy halibut as it is so expensive. When we do have it, I’m a miser and serve it in small portions, like in these Halibut Tacos with Tequila Lime Marinade. This fall, however, we bought several pounds directly from a fish boat and packaged it for the freezer ourselves, saving a lot of money. 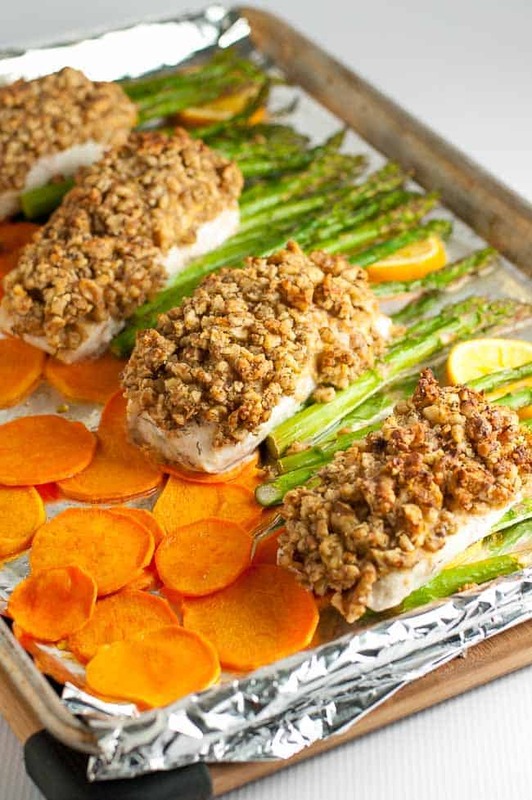 This crusted halibut is the ultimate simple but tasty meal. 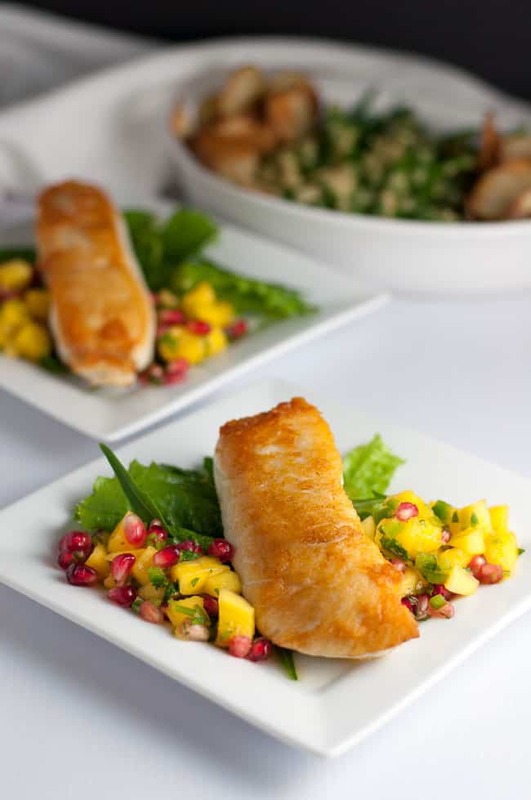 Halibut has a light, delicate flavour that needs little to enhance it. In this case, all I did was sprinkle a tiny bit of salt and pepper on top before searing it in hot oil and baking it in the oven. Mango- pomegranate salsa added lots of colour and interest to the plate and was the perfect accompaniment. I served it with Dijon green bean and crispy potato chips. 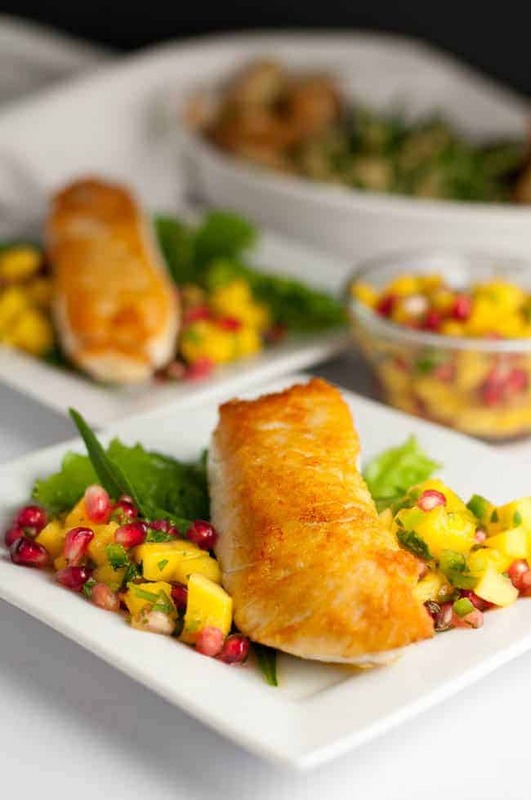 This halibut recipe would be equally as delicious with other white fish like cod or sea bass. First, heat an ovenproof sauté pan over medium-high heat. Add grapeseed oil (or other oil with a high smoke point). When it is barely beginning to smoke, add the halibut pieces with the “presentation side” down and the side from which you removed the skin face up. Sear for 2 to 3 minutes, carefully lifting it with a fish turner to check on the colour. When it has turned golden brown, remove the pan from the heat and transfer it to a preheated 450°F. oven. Bake for 4 – 5 minutes or just until the halibut flakes easily. Remove from the oven, flip the pieces over to lightly sear the other side, then transfer to serving plates. 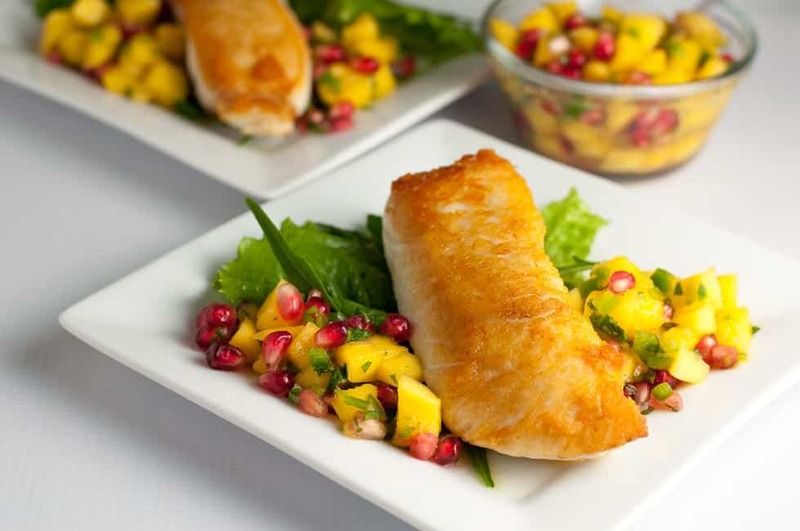 Serve with mango pomegranate salsa on a simple green salad with a light citrus vinaigrette. 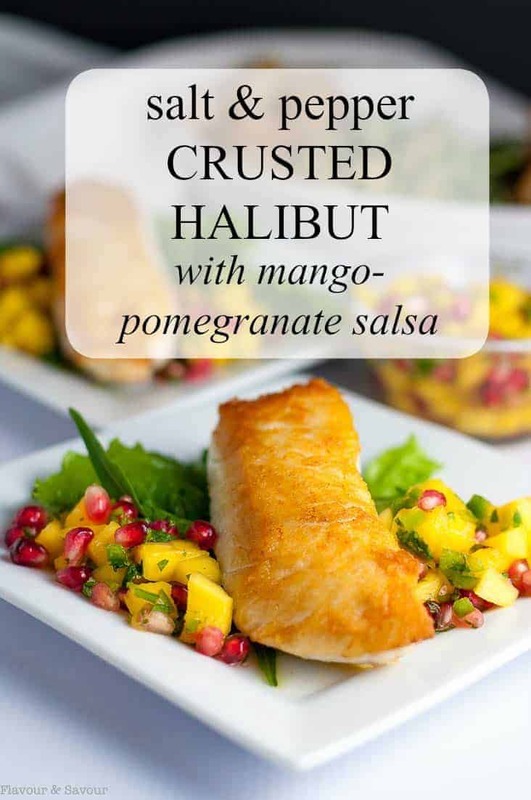 This Salt and Pepper Crusted Halibut with Mango Pomegranate Salsa is an easy weeknight meal that's spectacular enough for entertaining! 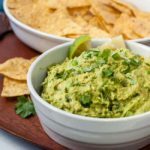 Serve with a colourful nutritious salsa. Make the salsa first. 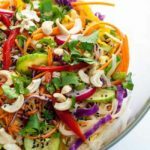 Combine all ingredients in a small bowl and set aside to allow flavours to blend. Heat oven to 450°F. Remove skin from halibut, pat dry with cloth or paper towel. Heat an ovenproof sauté pan over medium-high heat. Add grapeseed oil (or other oil with a high smoke point). When it is just barely beginning to smoke, add the halibut pieces with the "presentation side" down and the side from which the skin was removed face up. Sear for 2 to 3 minutes, carefully lifting it with a fish turner to check on the colour. When it has turned golden brown, remove the pan from the heat and transfer it to a preheated 450°F. oven. Bake for 3 - 5 minutes or just until the halibut flakes easily. Remove from the oven, flip the pieces over to lightly sear the other side, then transfer to serving plates. What would be a good sub for pom seeds. Hate the seeds love making the juice. You could try sliced or chopped strawberries instead of the pomegranate. 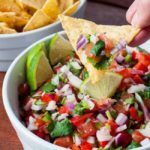 Strawberry-mango salsa is delicious! I added the pomegranates for a splash of colour, and strawberries would do the same. Hope this helps you!